Guest blog writer, Cindy Faber, shares her experience touring the Kibera Slum. Most of us have an idea of what a slum looks like. Either because we've seen one in the city or have seen a depiction of one on TV or in the movies. But how many of us truly have seen it first hand? Have you walked through the streets and among the people that live there? 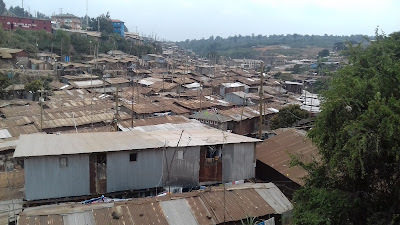 A few of us had the opportunity to visit the Kibera Slum. 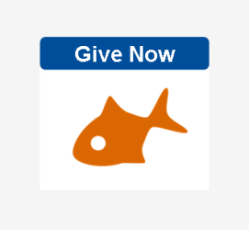 I'd like to share with you a little of our experience. The slum here is much different than what we see in the USA. 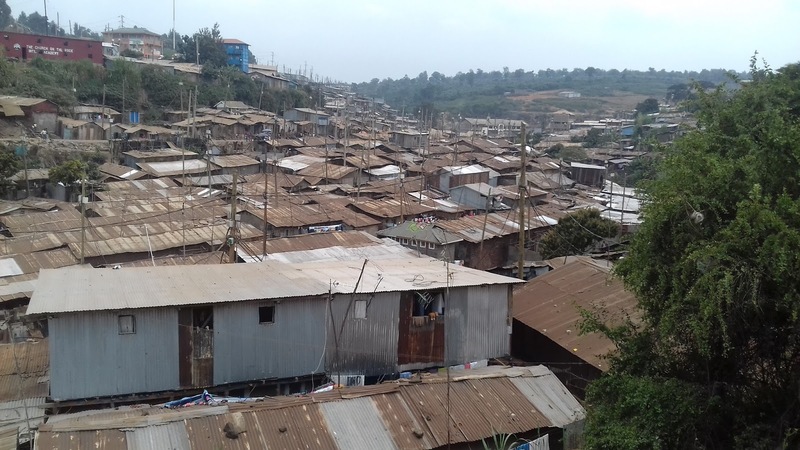 Kibera is a slum area outside Nairobi, Kenya and is roughly the same size as New York City's Central Park, about 1.5 square miles, but with a population density much greater than that of New York City. Kibera houses about 250,000 people and is the biggest slum in Africa and one of the biggest in the world. The average size of shack in this area is 12ft x 12ft built with mud walls, a corrugated tin roof with a dirt or concrete floor. These shacks often house up to 8 or more with many sleeping on the floor. They do not have a bathroom or running water in their own home, and residents do all their cooking outdoors. Kibera is heavily polluted by soot, dust, and other wastes. 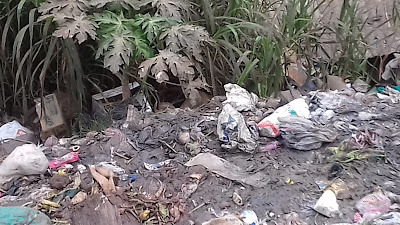 Open sewage routes, in addition to the common use of flying toilets (which thankfully we didn't run into), also contribute to the contamination of the slum with human and animal feces. Cholera and typhoid cases in Kibera are a direct result of the lack of proper sewage control and disposal. We walked through the market place and stopped to learn about a group of woman that call themselves "The Power Women." These women are striving to overcome the stigma of HIV, and we purchased a few of their goods before a time of prayer with them. We tasted some of the local cuisine...some good and some not so good. We learned about the community’s endeavor to recycle human waste into natural gas to cook and heat water in a public bathroom where they charge to use the facilities (toilet, hot or cold showers). We visited a school where all the teachers are volunteers. There are 100 students on any given day that are in one large room divided into 4 areas. They do not have enough tables or chairs so the students have to share and take turns doing lessons. I have so much admiration and respect for these teachers who give unselfishly of their time and resources so these students might have an education and better themselves. And at the end of the school day, these teachers still have to try to earn their own living. 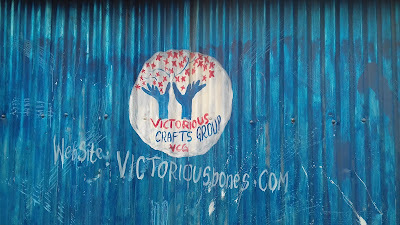 [From Leslie] We visited Victorious Bones where beautiful handcrafted jewelry is made from animal bones. 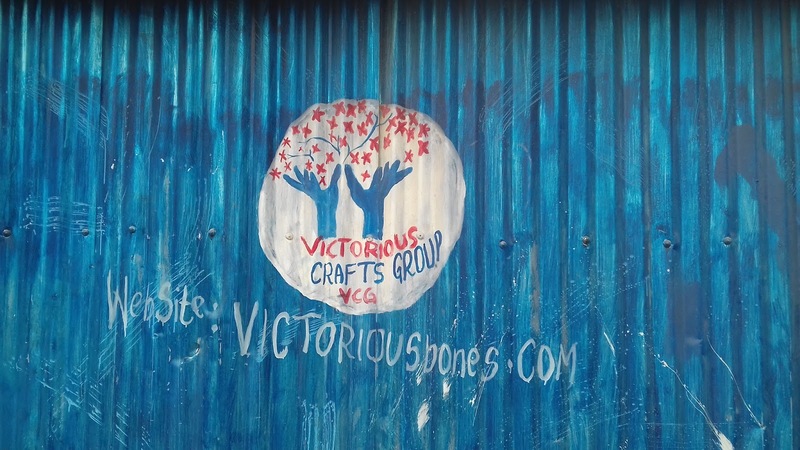 I was particularly interested in all the small businesses formed from within the slum so watch for these handcrafts available for sale through Surprised by Hope. Boiling to remove the marrow. Animal bones being prepared for grinding. Last but not least, we were invited in to our guide’s home where we were welcomed to ask any questions we wanted. Most importantly, we had the chance to witness to Leonard and his friend Charles. While neither Leonard nor Charles received salvation while we were there, seeds were planted. Please pray that God will place other Christians in their path and for them to receive salvation. 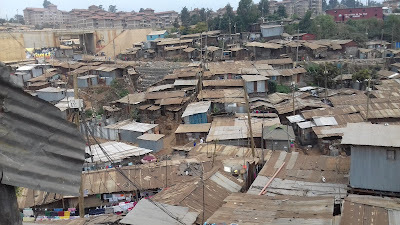 So, if you ever find yourself in Nairobi, be sure to take a tour of Kibera Slum. You won’t regret it. It will give you a whole new perspective on life and maybe, just maybe, a new sense of gratitude for YOUR life.